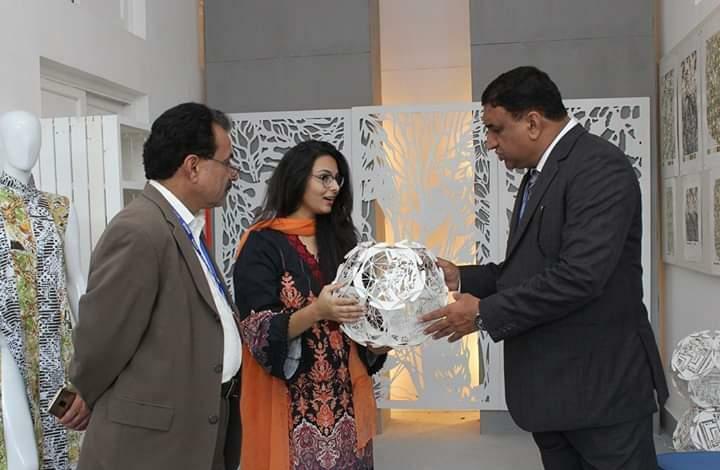 Hyderabad: The annual degree show concluded at the Centre of Excellence in Art and Design (CEAD), Mehran University of Engineering and Technology (MUET) Jamshoro. 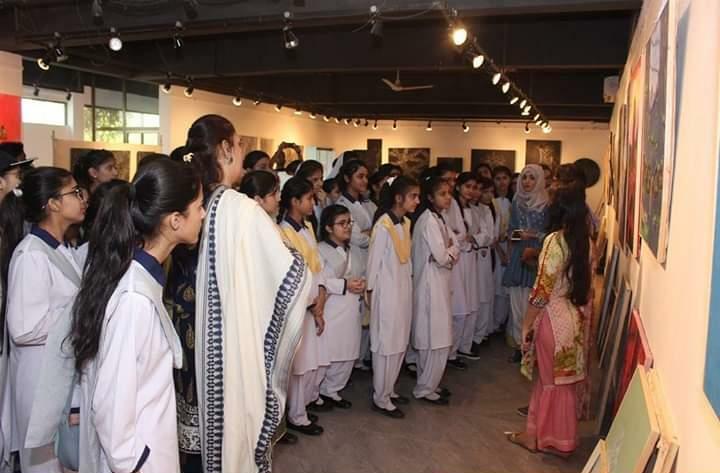 Five days exhibition included art work of more than 50 students. Thousands of visitors, civil society, intellectuals, galleries’ owners, industrial CEOs, artists, students of various schools and people from different walks of life witnessed the event. The art work of students from fine art, textile design, communication design and architecture carried different messages related to social, political and economic issues, career counseling, comfortable living compartments and suggestions for planners. The fine art students heightened the issues related to women empowerment, Talpur period in Sindh, newspapers, boundaries of society, cultural heritage, target killing, traditional customs, old buildings and objects, myths and other ideas. The students of Communication Design carried topics like as connection of people towards society, feeling happy, photography, educational campaigns, renovating Hyderabad, dark room, social media, and transgender rights. The topics suggested launching different campaigns that may start from a small change to larger level. 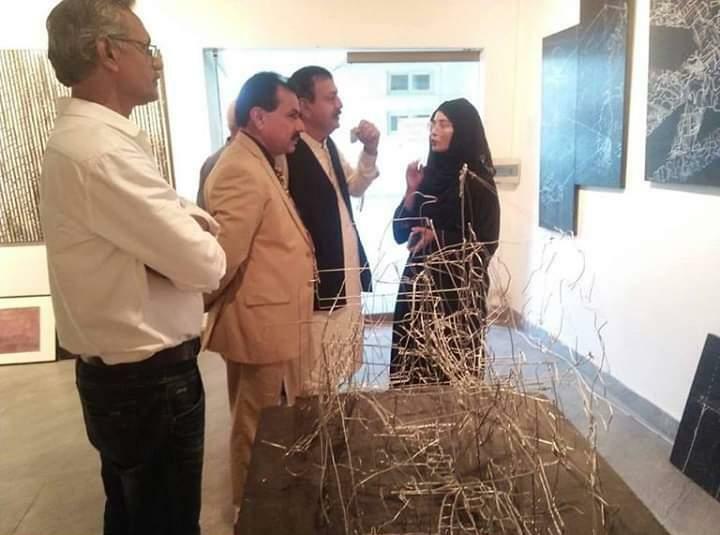 Thousands of students from various universities, colleges, schools and people from different walks of life witnessed the exhibition and appreciated the creative skills of students whereas former I.G Jails Ghulam Qadir Thebo paid the visit on last day.